SLO30 Series: Slot Sensor w/o Sensitivity Adjustme. Slot width: 30 mm; Input: 10-30V dc. Output: Bipolar: 1 NPN; 1 PNP. 2 m (6.5 ft) Cable. 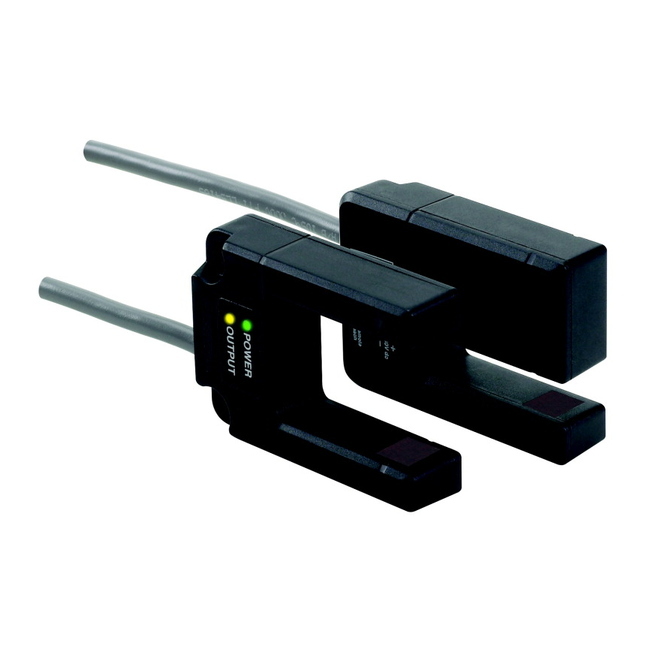 SLO30 Series: Slot Sensor w/o Sensitivity Adjustme. Slot width: 30 mm; Input: 10-30V dc. Output: Bipolar: 1 NPN; 1 PNP. Quick-Disconnect Connector. SLO30VB6YQPMA13DO 700 MA 4 PIN 6 INCH PUR MALE EURO. SLO30VB6YQPMA13LO 700 MA 4 PIN 6 INCH PUR MALE EURO. SLO30VB6YQPMA13LODO 700 MA 5 PIN 6 INCH PUR MALE EURO. SLO30VB6YQPMADO 4 PIN 6 INCH PUR MALE EURO.